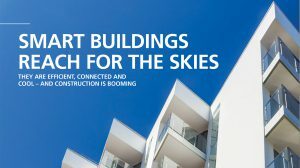 NEW YORK, Oct. 05, 2018 (GLOBE NEWSWIRE) — Members of the World Alliance for Efficient Solutions, launched by the Solar Impulse Foundation will attend the Horizon18 taking place on October 10-11, 2018 at Hynes Convention Center in Boston, MA. Solar Impulse Foundation initiated by visionary Bertrand Piccard, is committed to envisioning ecology through the lens of profitability, and to proving that solving climate change – rather than an expensive problem – is a fantastic market opportunity. 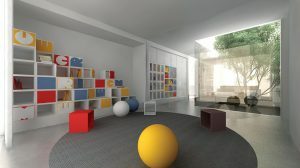 World Alliance for Efficient Solutions, established by Solar Impulse Foundation, brings together the main actors involved in developing, financing or promoting products, services, processes and technologies that protect the environment in a profitable way. 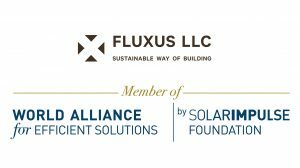 Fluxus LLC, a member of World Alliance for Efficient Solutions, is an impact enterprise committed to bringing aesthetic energy-efficient building designs coupled with prefabrication in highly automated modern factories to low-income housing sector. Fluxus LLC CEO Fanyu Lin and executive adviser Michael Gallagher will present “FluxHouse: An attractive investment opportunity to deliver energy efficient new construction solutions for the low-income housing market” at Horizon18.